Are you a gifted healer? The gifted healer (also known as “medical stigmata”) is a series of four or more parallel lines just under the pinkie finger. This is just one of several markers related to healing and healers and one of 17 gift markers first identified by Richard Unger, author of Lifeprints. 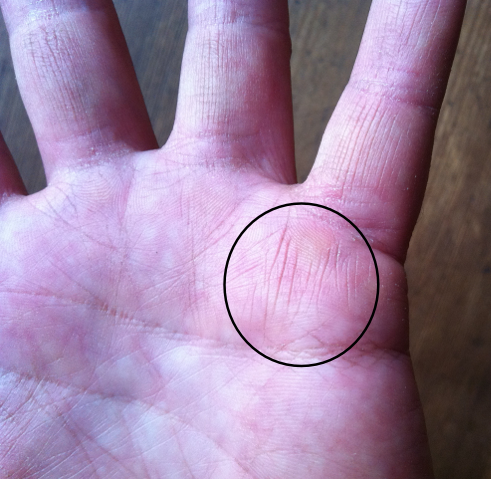 Note the lines are under the pinkie finger but not on the very edge of the palm. Usually starting about a centimetre in from the percussion side of the hand. Children rarely have this marker on their hands. If they do, it usually means that one of their parents is not living their own healer side. If you have this marker on your hands some form of healing needs to be part of what you do. Often people with this marker are working as healing but not quite the right type. This, according to Richard Unger, is one of the causes of healer burnout. To hear more about this or about other hand markers related to burnout go here. If this is you, here’s a complimentaryinterview with Dr Prit Gill on what to do about healer burnout. The replay is available permanently in Earth School’s free auditorium. This topic is also covered in detail in the hand analysis foundation course in the class on Mercury markers, available here.